SAN FRANCISCO, CA (April 12, 2018) — Among the most important American artists of the 20th century, Donald Judd transformed the art world with his influential work in art, design and architecture. On view at the San Francisco Museum of Modern Art (SFMOMA) July 14 through November 4, 2018, Donald Judd: Specific Furniture will look beyond Judd’s work in sculpture, which he called “specific objects,” to examine his furniture design as its own practice, independent from his artworks. This exhibition will also bring together Judd’s furniture with designs he owned and admired, as well as newly fabricated Judd pieces that visitors can use outside the gallery. Judd’s designs emerged out of a need for simple and functional furniture, developed in response to what he saw as an absence of good and available pieces. From tables to desks and chairs to beds, Judd created a diverse group of distilled yet functional furniture originating from basic utilitarian forms. Through hundreds of permutations, he established a system of designs that demonstrated his philosophy of use and utility. According to Judd, furniture was designed to suit unambiguous actions, such as sitting upright, standing or lying flat, and prompt movement from one piece to another depending on the task. In addition to his roles as artist, designer and critic, Judd was also a collector of furniture that embodied a material presence or design strategy, acquiring designs by Alvar Aalto, Ludwig Mies van der Rohe, Gerrit Rietveld, Rudolph Schindler and Gustav Stickley, among others. Unique to this presentation, Donald Judd: Specific Furniture will bring together Judd’s work with a selection of the iconic pieces he collected and installed in relationship to his own designs, establishing his work firmly within the design canon. Donald Judd: Specific Furniture will feature approximately 30 pieces of furniture and 25 drawings, along with eight newly fabricated Judd designs, including four chairs, two benches, a stool and a combined seat/table/shelf. Produced by Donald Judd Furniture through the Judd Foundation using the same furniture fabricators and materials that Judd used during this lifetime, these pieces will be located on SFMOMA’s sixth-floor landing adjacent to the Architecture and Design gallery for visitors to touch and sit on before and after the viewing the exhibition. 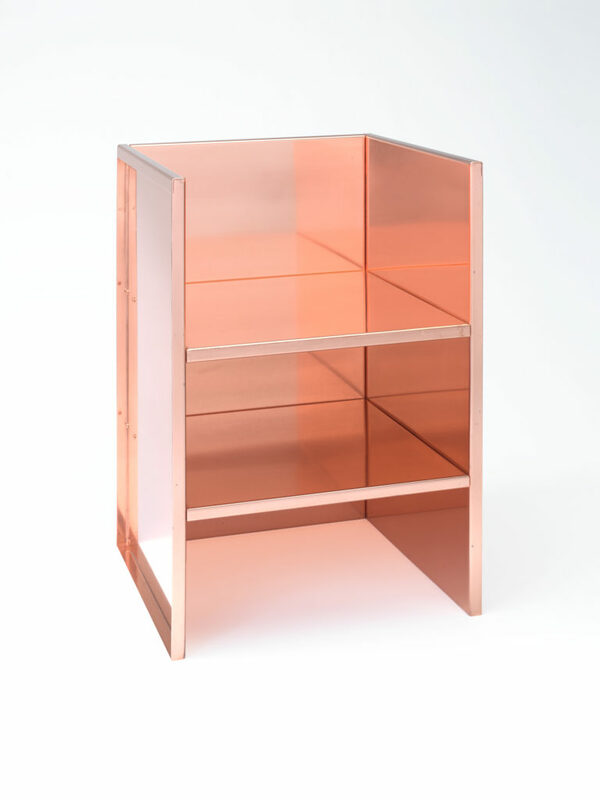 Support for Donald Judd: Specific Furniture is provided by Dudley and Michael Del Balso. SFMOMA is grateful for the efforts of the Judd Foundation in the realization of this exhibition. Born on June 3, 1928 in Excelsior Springs, Missouri, Donald Judd studied philosophy and art history at Columbia University and painting at the Art Students League. Judd started his career as a painter and art critic and later transitioned to work in three dimensions. In 1968, Judd first began the permanent installation of his work as well as works of his contemporaries at his 101 Spring Street residence and studio, a process he would continue throughout his life in both New York and Marfa, Texas, until his death in 1994. Judd established the ideas of Judd Foundation in 1977 to preserve his art, spaces, libraries and archives in New York and Marfa. He founded The Chinati Foundation/La Fundación Chinati in 1986 specifically for the permanent installation of large-scale works by himself and his contemporaries in Marfa. For almost four decades, Judd exhibited across the United States, Europe and Asia with his work in museum collections worldwide. Major exhibitions of his work include the Whitney Museum of American Art, New York (1968, 1988); the National Gallery of Canada, Ottawa (1975); Stedelijk Van Abbemuseum, Eindhoven (1970); and Tate Modern, London (2004). 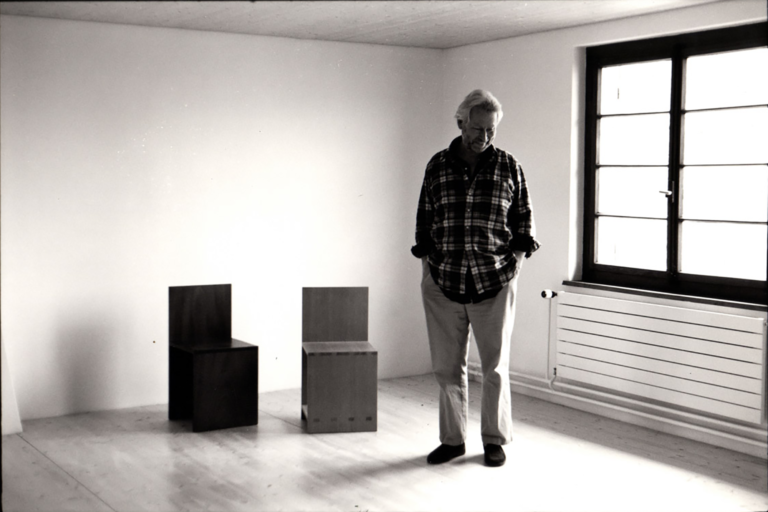 In 1993, the Museum Boymans-van Beuningen in Rotterdam produced the first comprehensive exhibition on Judd’s furniture practice, and there have been few exhibitions on the furniture since. Along with the Doris and Donald Fisher Collection at the San Francisco Museum of Modern Art, SFMOMA holds an important selection of Donald Judd’s artwork, including prints, objects and a painting. Judd’s early mature work To Susan Buckwalter (1964) is on view as part of the exhibition Pop, Minimal, and Figurative Art on the museum’s fifth floor.